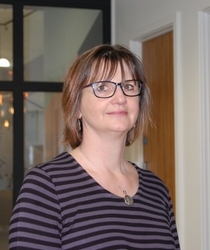 Dr Kate Firth is a FRAME trustee. Kate gained a BSc in Pharmacology followed by a PhD in Pathology. She then went on to complete 7 years post-doctoral research at the University of Nottingham where she developed her expertise in primary human cell culture. Kate is currently a post-doctoral research associate at the University of Lincoln within the Diabetes Research group. She is passionate about opening the minds of scientists to alternative methods and has plans to increase the public profile of FRAME and the influence on national policy making.